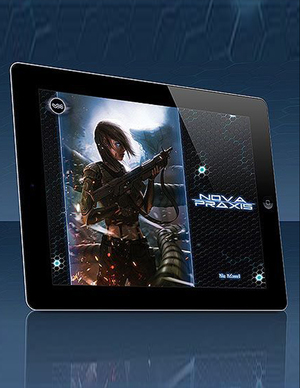 Christopher Helton over at Dorkland has posted an early preview of Nova Praxis. Good stuff. 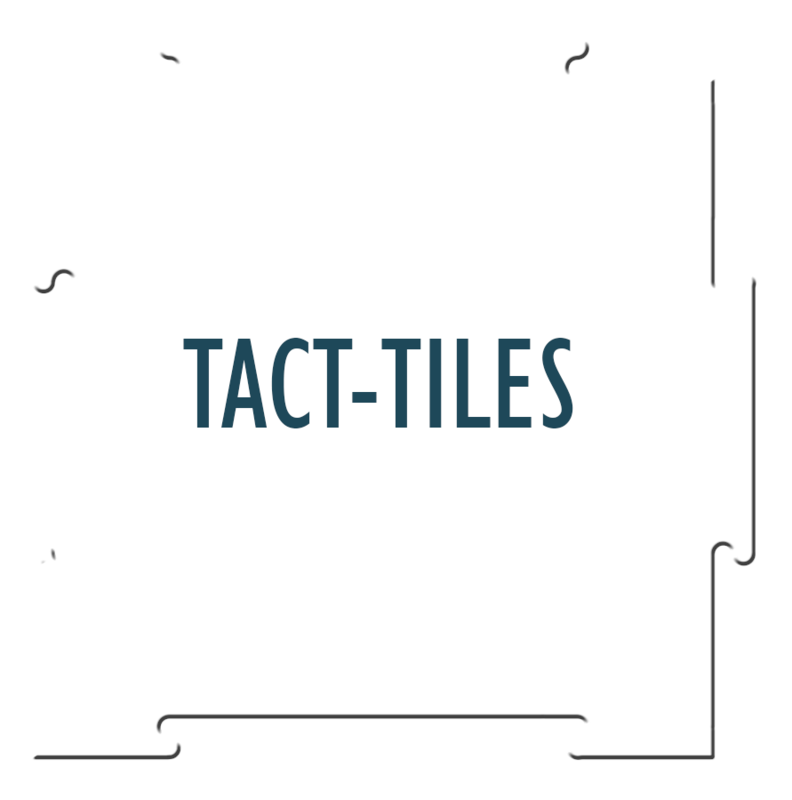 If you do not like the Strands of Fate variant [of FATE], you will probably not like this version of the rules customized for play in the Nova Praxis setting. I would say that very much depends on why you prefer other versions of FATE over Strands of Fate. I say that because Nova Praxis uses a version of FATE/Strands of Fate that is very much tailored to support the setting. As such, a lot of the optional or "variant" rule systems in Strands of Fate became the default for Nova Praxis. And as it happens, a lot of those are the same systems used in "traditional" FATE games. For example, Nova Praxis uses Skills instead of Abilities. We went back and forth on this several times, but in the end settled on Skills for a number of reasons. The biggest reason being that a Skill list immediately tells you a lot about a setting. Abilities (Willpower, Agility, Craft, etc) are great for a universal system like Strands of Fate because it allows for very quick setting adoption. But Skills like Cohesion and Apostate Networking immediately inform you about certain components of the setting that might be important, or at least, throw up "red flags" that alert you to something you might need to read up on. 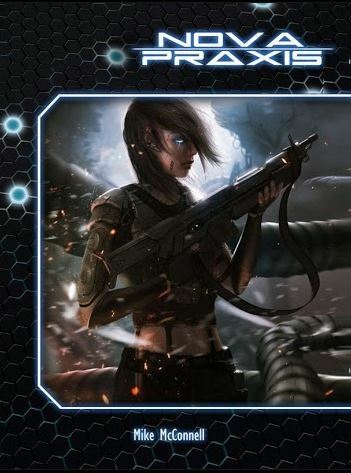 Nova Praxis also uses the Stress Track system found in Starblazer Adventures, Legends of Anglerre and (IIRC) Diaspora. This is a variant stress system described in Strands of Fate called the "Single Set" variant, but it is standard in Nova Praxis. The reason for the switch is to promote a more lethal conflict system. Nova Praxis also only features a single tier of Advantages (called "Stunts" in other FATE games), and Specialty Aspects are now selected through taking an Advantage. 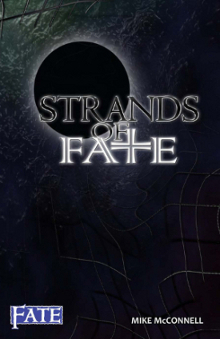 So is it still Strands of Fate? Yeah. It just makes many of the optional systems in Strands the default. Strands could always be played exactly like any other FATE game. 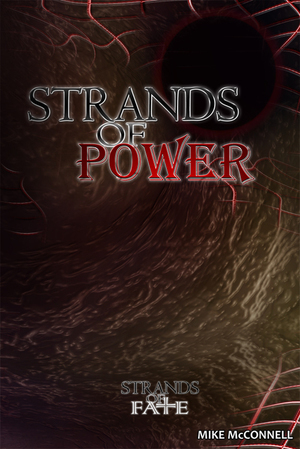 You can mix and match various options in Strands and play a game that is indistinguishable from Spirit of the Century. 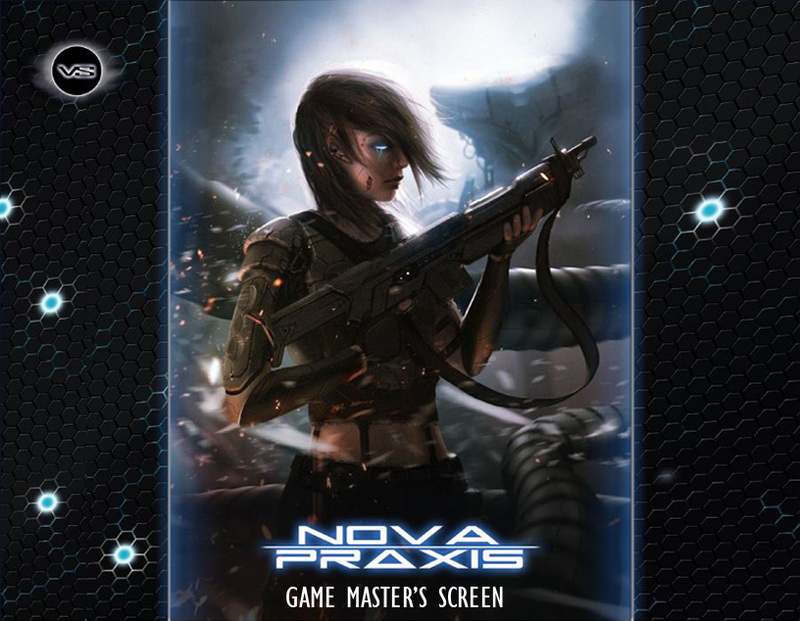 But Nova Praxis adds a lot of new stuff to the game as well. The most notable are the rules for playing bodiless AIs (called SIMs), resleeving, the Reputation tracking system, Stalls (the opposite of Spin), a shift in the core mechanics that allows the players to roll all the dice, a new way of handling Extreme Consequences, new Refresh rules, expanded use of Declarations, and a lot more. Now, there are still some Strands-isms that remain very consistent. Like Strands, Nova Praxis doesn't use the "Adjective Ladder". Persistent Aspects are a standard part of the rules, and (most of the time) you don't have to pay a FP to decline a compel. If those are the reasons you don't like Strands, you're not going to like them any better in Nova Praxis.